While Amazon Alexa may have sparked off the smart speaker trend, Google has today decided to boast about the remarkable performance of its Google Home range over the past year. The company says that it sold more than ‘tens of millions’ of Google devices for the home, which bring Google Assistant’s smarts to your home. Google debuted its first-ever Google Home towards the end of 2016, but the past year was the one where the company went all with its plan to extend the reach of Google Assistant’s presence. 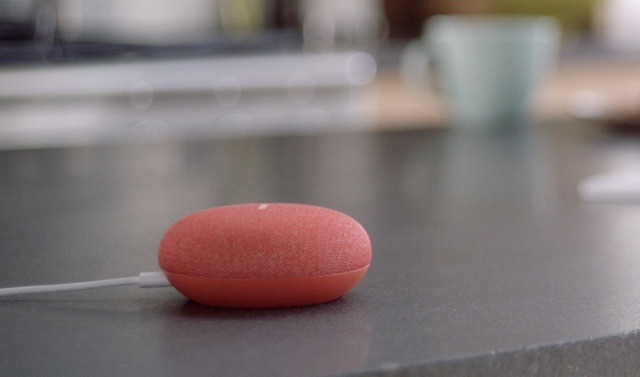 It launched the Google Home Mini and Google Home Max, a miniature and super-large speaker variant of the original one, in 2017. The former was pitched as a competitor to the Echo Dot, while the latter carved a niche for itself. And in fact, we sold more than one Google Home device every second since Google Home Mini started shipping in October. In the official blog post, Google has further stated that it managed to sell at least one Home speaker every second since Google Home Mini officially went on sale back on October 19. This tidbit of information seems incredible, but the company doesn’t go beyond this stat. Some math and we can estimate that Google sold at least 6.75 million Home speakers in the 78 days since the launch of Home Mini in select markets. In addition, Google Assistant now powers 400 million devices overall, which includes phones, laptops, tablets and TVs, in addition to the speaker category. Who Topped the Sales Chart? While Google didn’t elaborate on which model sold the most, it is safest to assume that Google Home Mini would’ve been the top-pick. The original Google Home is priced at $129, whereas the Home Max, which was released in a limited quantity in December 2017, is priced at a steep $399. All told, Google Home usage increased 9X this holiday season over last year’s, as you controlled more smart devices, asked more questions, listened to more music, and tried out all the new things you can do with your Assistant on Google Home. Just like budget smartphones made buying easier, Echo Dot, which was Amazon’s highest-selling product in the festive season – and Home Mini have contribute to the categories growth. It’s not wonder that nearly every company – Toshiba, Xiaomi, for example -is looking to get into the smart speaker game. It just makes sense now that Amazon and Google have proven the market. So, did you also buy a Google Home and add to the boom? If so, how’s the AI-powered home life been treating you? Let us know down below.